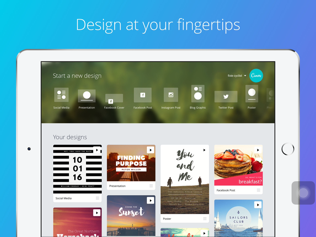 Canva is a free app that can be downloaded on Apple products. It also is a website that can be accessed without Apple products. It is a helpful tool for designing things like posters and logos. There are many options on the app that let you make a one of a kind creation. You have to be careful on the app though, because there is a lot of things on it that cost money. There is normally a symbol on the items that must be paid for though which is helpful. 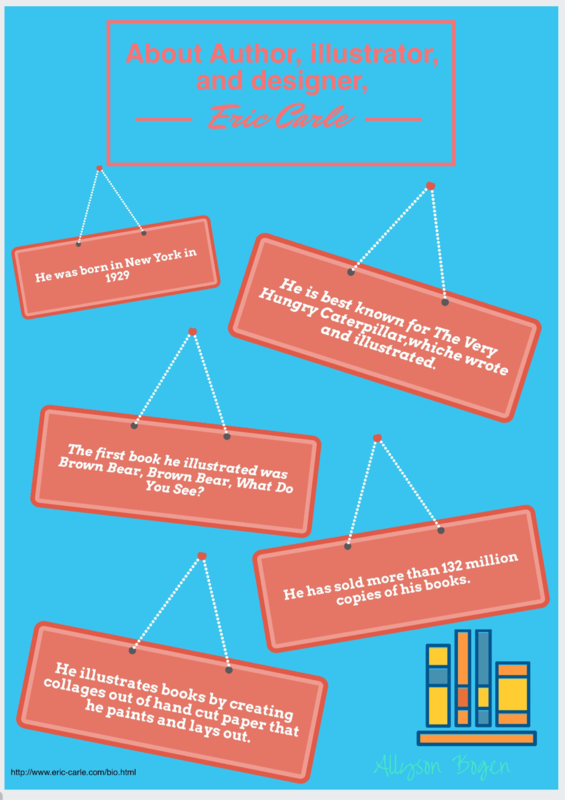 Canva is a great app for teachers to use when making visual aids and websites! I personally think that this is not a good app to use with elementary students because there are other apps available that are much more user friendly that younger students would be able to navigate more efficiently, like pic collage. 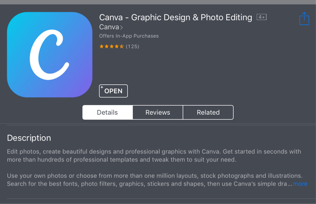 However, this would be a good app for secondary students to use when learning about design and marketing. Secondary students would be able to benefit a lot from using this app, it would help them to learn how to make visually appealing informative aids. My experience using the Canva app was a mixture of positives and negatives. I enjoyed making new headings and logos for my website. However, when it came to making a poster it was very difficult for me. I was unable to customize it exactly how I wanted. The app randomly shut down on me a few times as well, causing me to lose all my work. (Make sure you save your work often on it!) Also for some reason whenever I saved my poster the picture that I downloaded would never look like the poster I created on the app. With that being said the website offers lots of tutorials and help, which really come in handy! I plan to use this app in the future to create visual aids and helpful add-ons for my website.